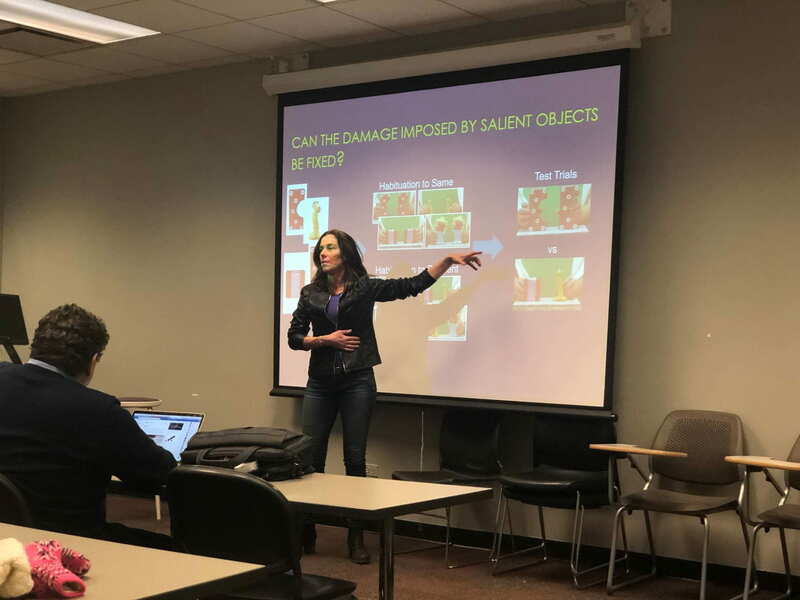 SILC Internal Talk w/ Susan Hespos: Faculty member Susan Hespos was invited on Thursday, January 24th 2019 to present data on the early evidence for conceptual knowledge and discuss conceptual development prior to much influence from language and culture. These studies revealed new insights about the nature of representational abilities that emerge early in development and focus on aspects of cognition that are continuous through development. Susan’s take-home message was that infants think before they speak. More specifically, ifwe can specify the nature ofrepresentations in young infants then we will be in a better position to understand two things: how language may capitalize on pre-existing cognitive abilities and how these abilities relate to the cognitive abilities of other species.